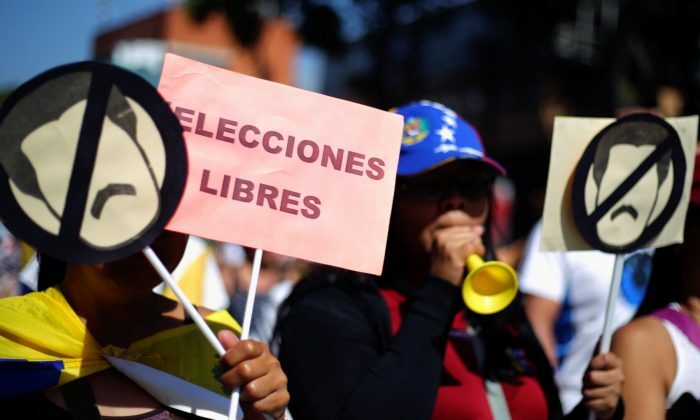 CARACAS—An active Venezuelan general called on the armed forces to rebel against President Nicolas Maduro and to recognize the opposition leader Juan Guaido as interim chief as pressure at home and abroad grows on the head of state to step down. In a video circulating on Twitter on Saturday, Feb. 2, General Francisco Yanez of the air force’s high command, said most of the armed forces already disavowed Maduro, who claims he is victim of a coup directed by the United States. 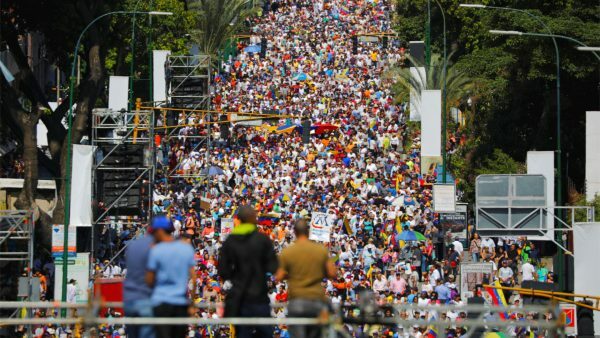 “People of Venezuela, 90 percent of the armed forces of Venezuela are not with the dictator, they are with the people of Venezuela,” Yanez said in the video. The high command’s web page lists Yanez, along with a photo, as the air force’s head of strategic planning. On its Twitter account, the air force’s high command accused the general of treason. Yanez is the first active Venezuelan general to recognize Guaido since he proclaimed himself president on Jan. 23. The video came as opposition supporters were set to protest nationwide in a bid to keep up the pressure on Maduro after Washington recognized Guaido as the legitimate president and issued potentially crippling sanctions that are likely to further weaken the OPEC nation’s struggling oil industry. Maduro’s critics also hope to encourage similar moves by European countries. Some European Union member states are expected to officially recognize Guaido next week, while others will likely take a more cautious stance of support. Maduro on Saturday will also hold a rally, to commemorate the 20th anniversary of late socialist leader Hugo Chavez’s first inauguration as president in 1999. Washington has imposed sweeping sanctions on state-owned oil firm PDVSA in the toughest financial challenge yet to Maduro, as the administration of U.S. President Donald Trump openly seeks to push him from power. U.S. Vice President Mike Pence told a Florida rally on Friday that the time for dialogue had ended and all options were on the table. Guaido swore himself in as interim president on Jan. 23 in a direct challenge to Maduro’s rule and quickly won the backing of countries in the region, but still has no control over state institutions or any functions of day-to-day governance. He has sent letters to Russia and China, both major creditors and allies of Maduro’s government, saying that a change of government would be in the best interests of both countries. The former union leader calls the sanctions and effort to force him from office an extension of the century-long efforts by the United States to control Latin American nations.